The weekend before Halloween, our group of friends decided that we wanted to dress up as a group. 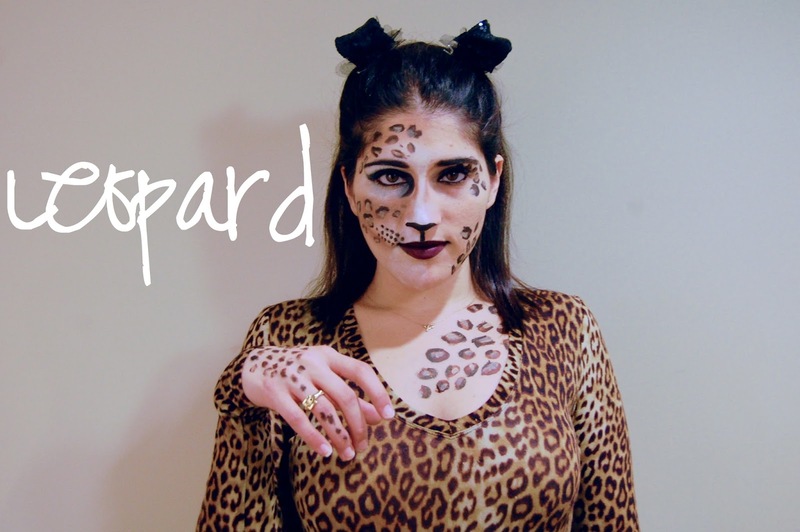 We figured taking pieces of clothing we already owned and putting them together would not only be the most resourceful, but the easiest to create last minute (see Grease costume here). One of the best things about dressing up for Halloween is being able to imitate and actually "become" another person for just one night. So when we went as Grease, everyone had adapted the John Travolta vibe while the girls were smacking their gum and smoking fake cigarettes. We had such a great time going as a group that we decided to come up with another costume idea for Saturday's festivities. We wanted to go polar opposite for the boys since T-birds aren't really far from their real personalities. And when we began the brainstorming, the girls really wanted to do something different than previous years and actually use face paint. 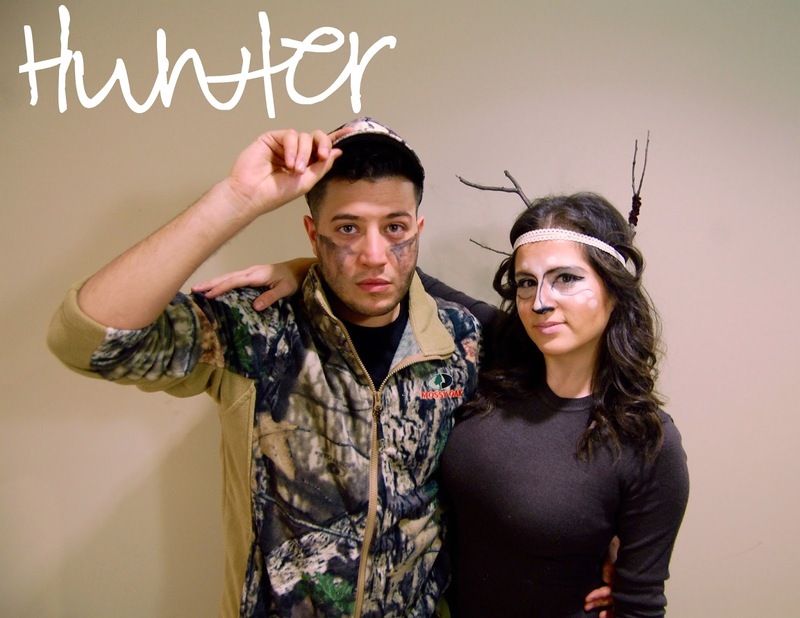 We decided that we were going to tackle the look of transforming into animals while the boys were hunters (SO not like them, which made this really, really funny). 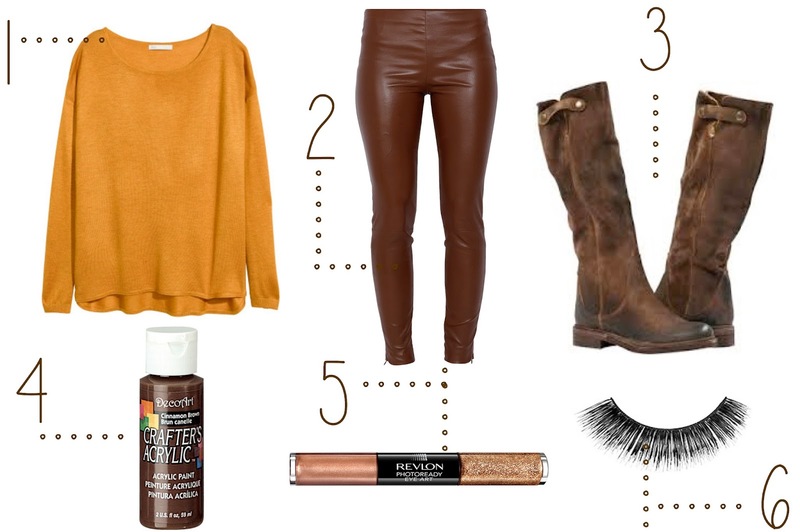 Here is what we came up with, and what you need to recreate the look/outfit. 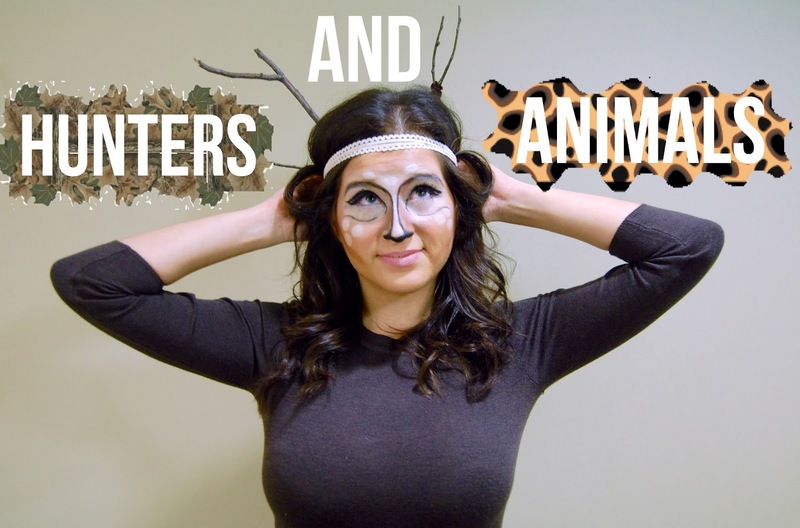 The best thing about animal costumes is that you can use what you already have to come up with the outfit. My friend is really tall, so she went with flat boots and only needed to get the sweater. The hair was created by using the top part separated into 2 sections and braided. Then she twisted them into buns to give off the look of the horns on a giraffe. 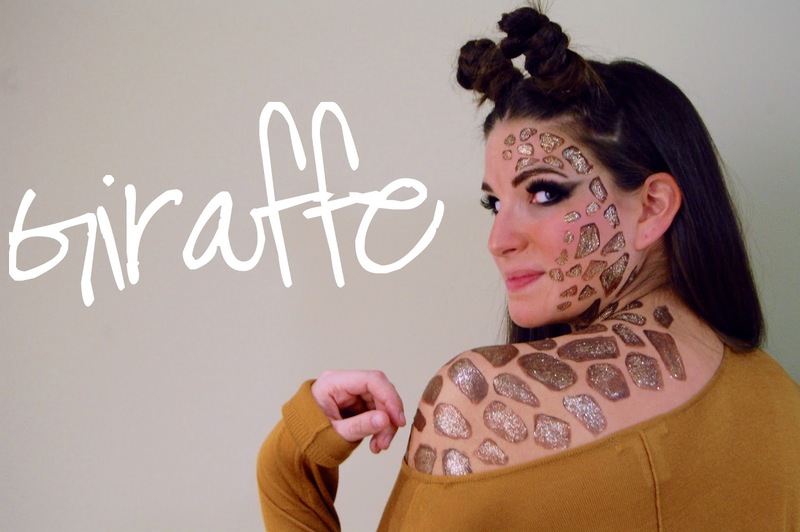 Acrylic paint was used for her body because of the opaque look (spots made with a q-tip) & #5 was used to add the sparkle. A dramatic smokey eye really contributed to the entire look (we used the Naked Smokey Eye Palette). That brown knit dress was perfect for this outfit. It was warm and long and I will definitely be wearing it on another occasions. For the antlers I just went outside and grabbed a tree branch and broke it into pieces. I attached them to my head band with brown pipe cleaners and they actually stayed on all night. One of the most important things needed to achieve the make up look is the NYX Contour kit. 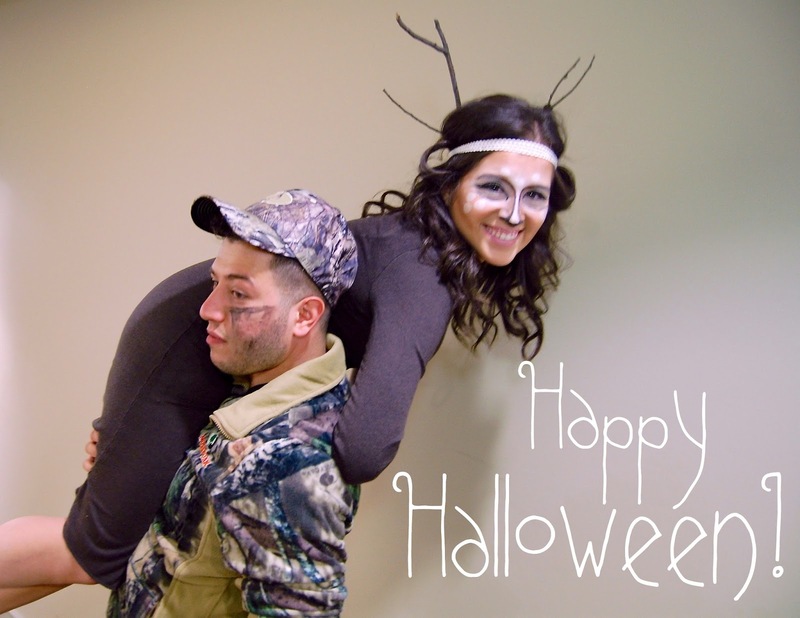 It provided all the whites and browns needed to contour my face into a deer. Black gel eye liner (pictured below) was also used. 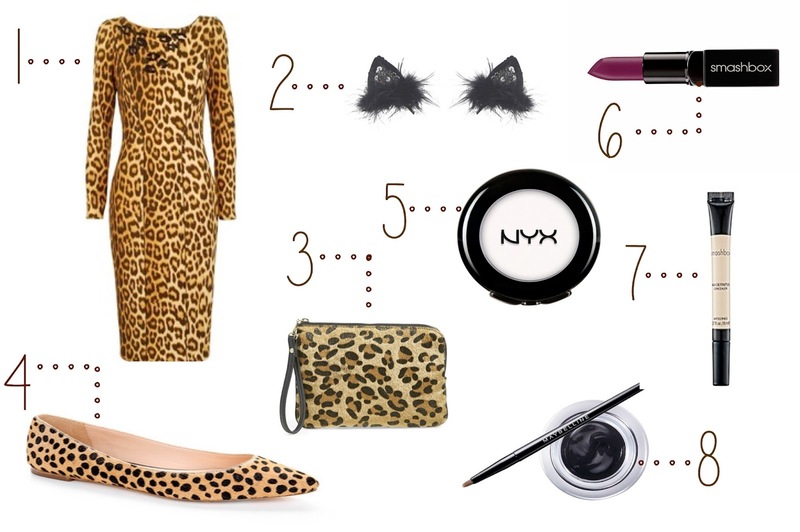 Luckily for my sister she already owned pieces that contributed to her leopard look. The cat ears were purchased from H&M and were slightly folded to give off a rounder appearance (like a leopard) and were really helpful because they clicked into her hair as opposed to on a head band. #5 was crucial for this look and was used all over the left side of her face to achieve the whitened appearance. And the concealer and gel liner were used to create her spots. 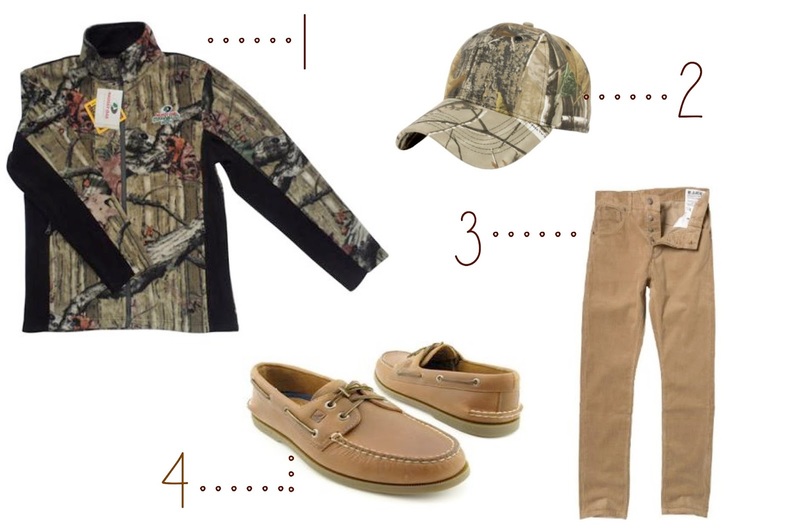 achieve the full hunting look. 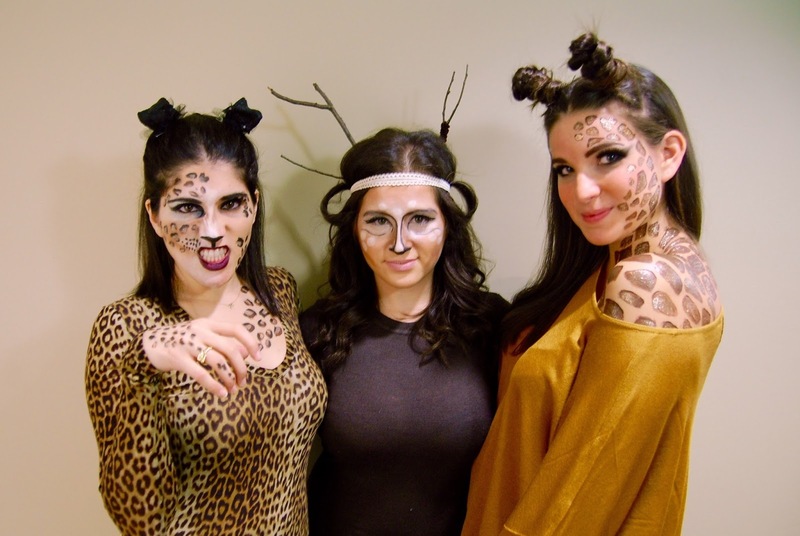 It was so much fun being animals for the night. 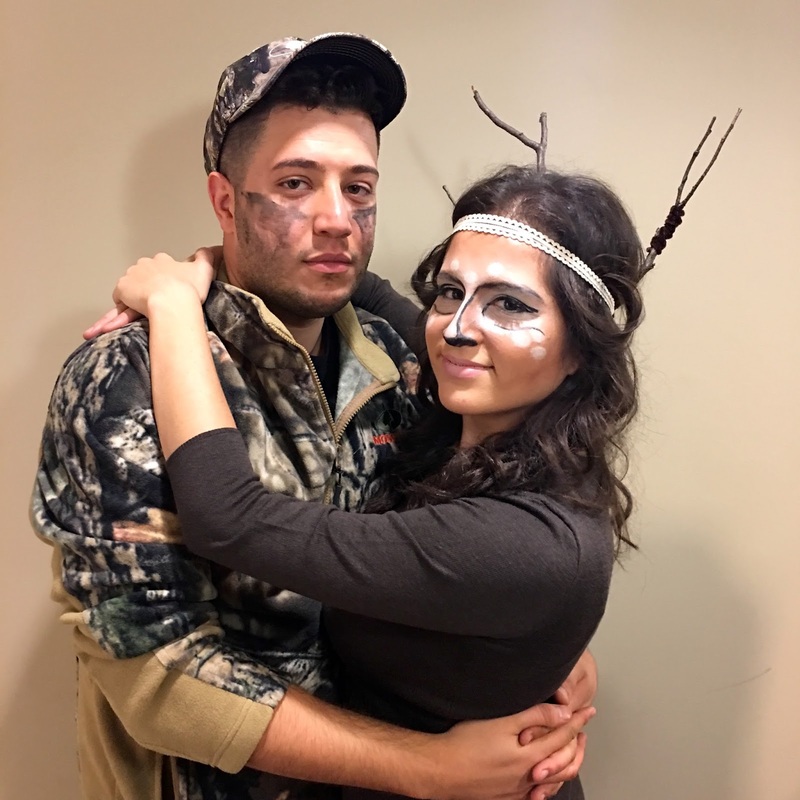 It took a lot of courage to wipe our faces down once it was over... but this look really got me thinking that I would love to start transforming our faces from now on for Halloween! Hey, it may have taken 2 hours for all 3 faces, but I think it was worth it.